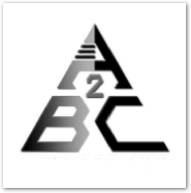 The A2BC symbol is derived from MASLOW’S PYRAMID also known as Maslow’s Hierarchy of Needs. A2BC is an acronym of sorts based on the philosophy that our society and political system needs to evolve from tribal politics with warlike politicians, to one in which they start serving the electorate, not the party, by working together to find simple solutions that will motivate workers and entrepreneurs to have a go. We need to embrace the basic values we were all born with - honesty and trust. If we are to truly advance as a society, and fully develop the potential long-term benefits of globalisation, we must get the basics right. 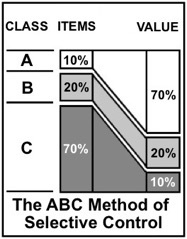 The ABC PHILOSOPHY is an established principle, which holds that ten percent (10%) of all items or transactions account for seventy percent (70%) of the total value of those items or transactions, and vice versa. It is a statistical fact that applies to any activity, over a reasonable population sample. People tend to make things complicated to justify their existence and protect their own job, or worse, to camouflage deceit or intended corruption. We have covered ourselves with so much complex legal jargon and red tape that fewer and fewer people are prepared to take a risk. Our governments are still trying to use the taxation system to solve all our problems with growth, productivity and motivation, when it is the system that is the problem. Remember, keep it simple and never forget your ABC’s.